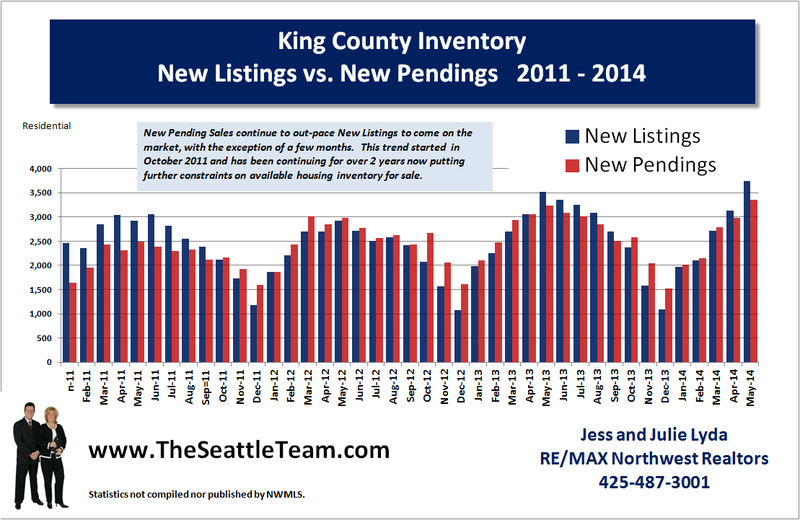 Today we will look at 3 fundamentals in the King County real estate market. We will cover the "Sweet Spot" first. This is sales volume. 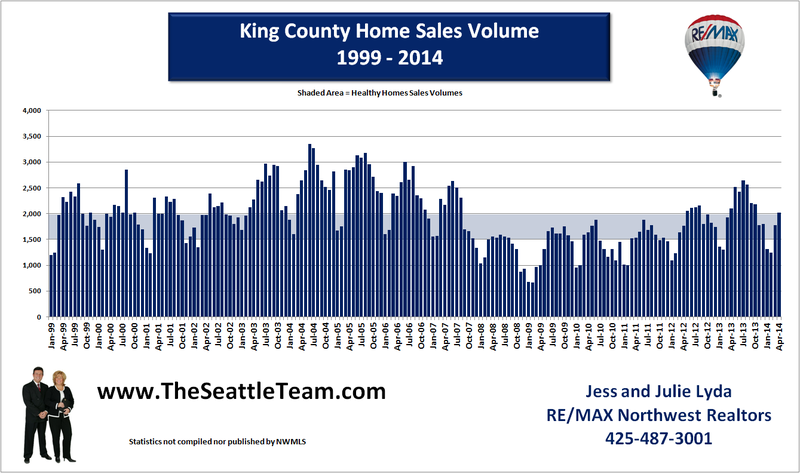 Sales volume has hit a sweet spot, meaning we are near average norms in terms of the number of home selling each month. 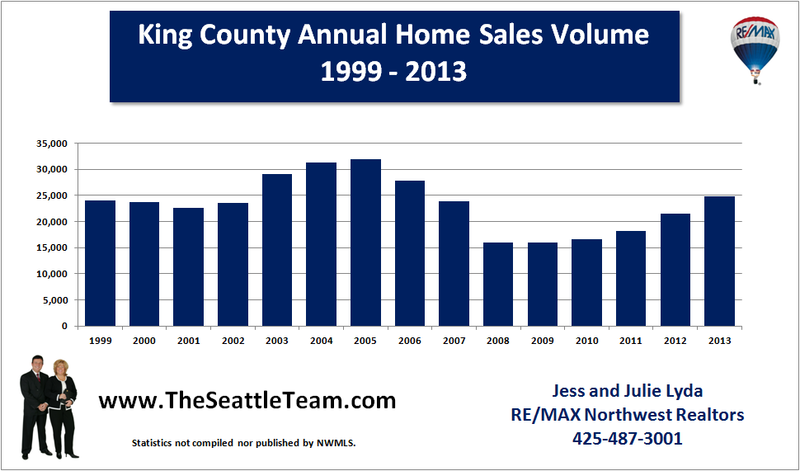 Looking back 15 years, we can see that during typical selling seasons, between 1,500 - 2,000 homes sell each month. 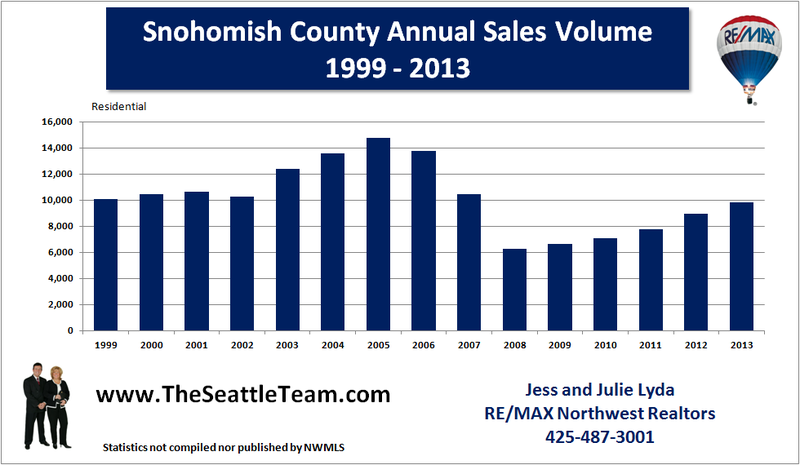 We can also see during the "bubble" years sales were artifically high and during the "bubble burst" sales volumes were unusually low. 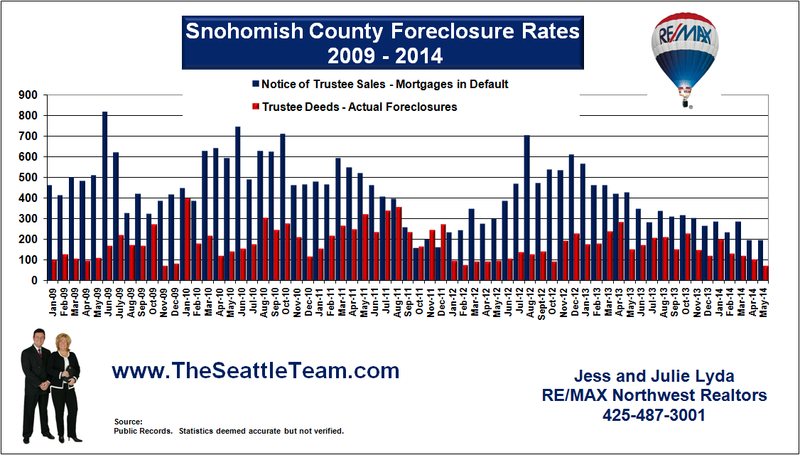 The chart below shows us we've been in the "sweet spot" for sales volume for the last 2 years. 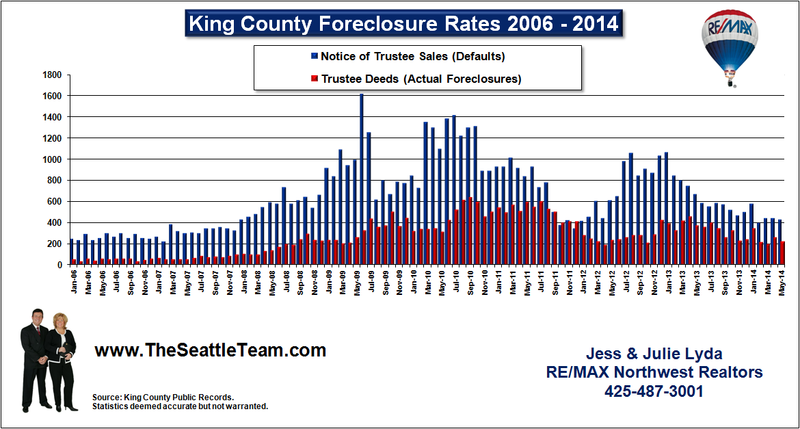 Today's lack of available homes for sale is the "Sour Spot". 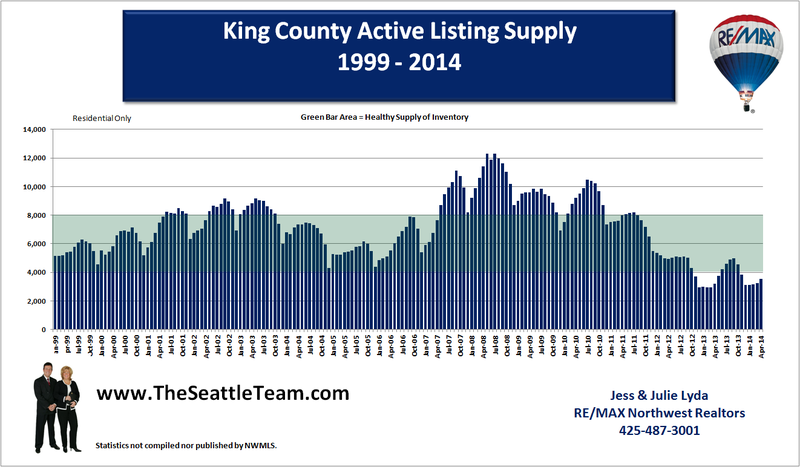 King County home prices are rising rapidly due to supply and demand. 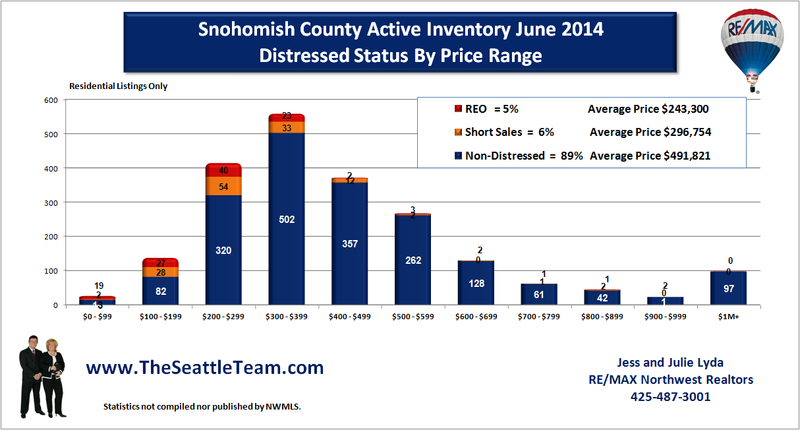 Lack of supply and strong demand. 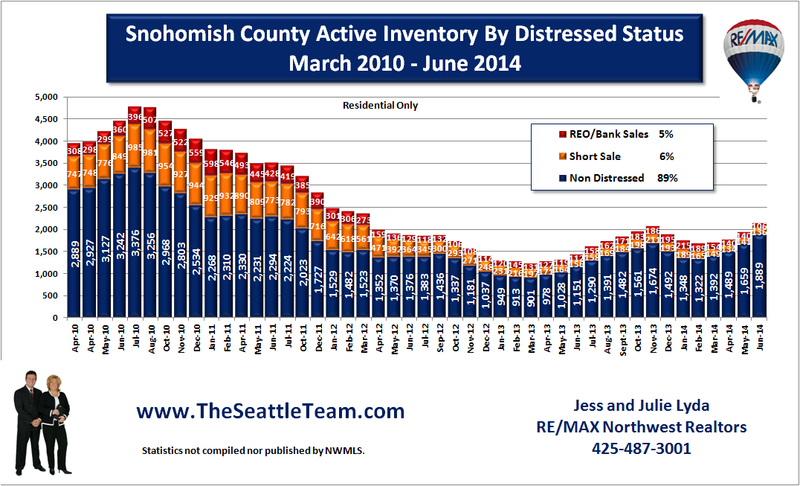 We did see an increase of homes for sale in April, but not enough to bring us into a healthy level of inventory. 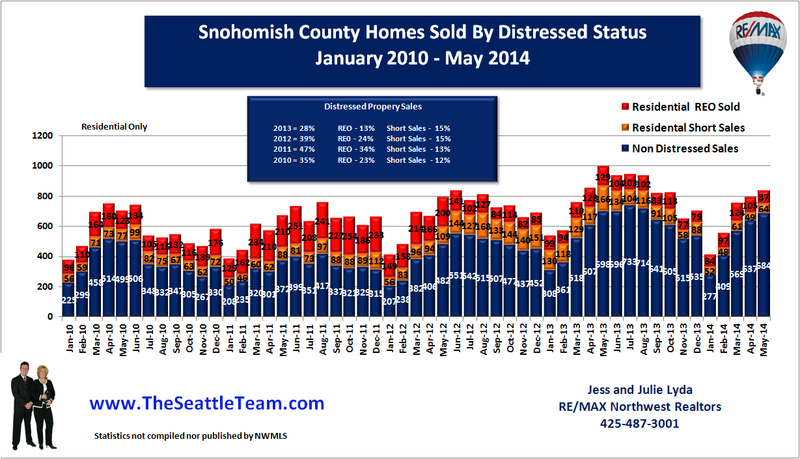 We really need to have another 1,000 homes come on the market to meet demand and cool down rising prices. Prices are rising rapidly. 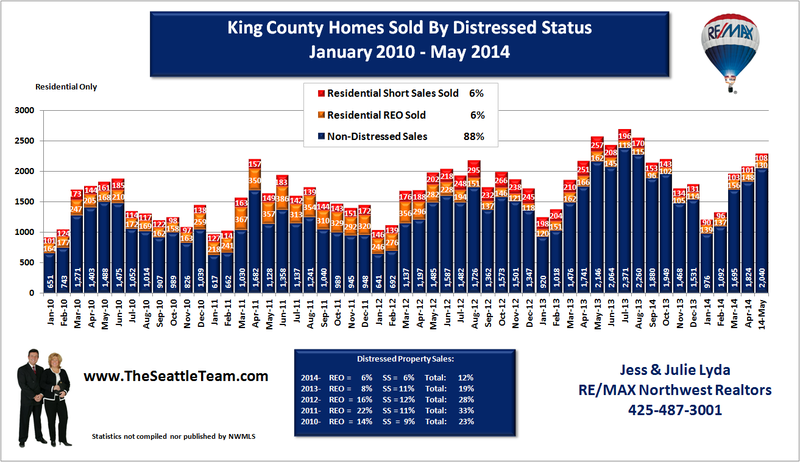 Buyers are losing out on multiple offers. We are seeing homes being bid up $10,000 - $100,000 over asking price! 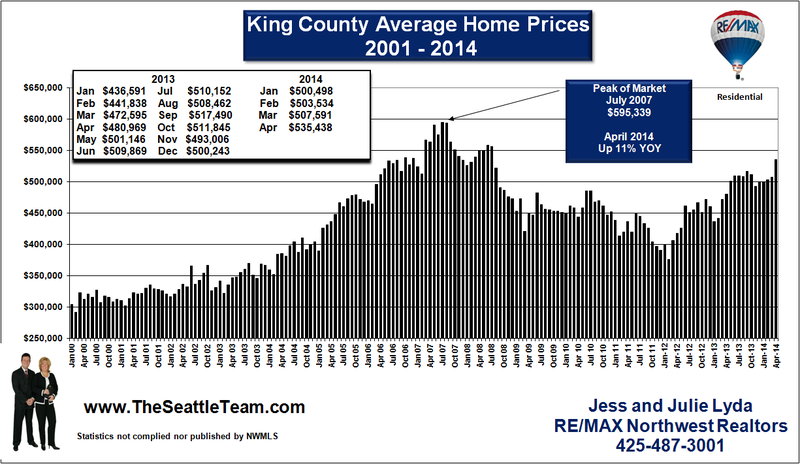 King County average home prices are up 42% since they bottomed out February 2012, just two short years ago! 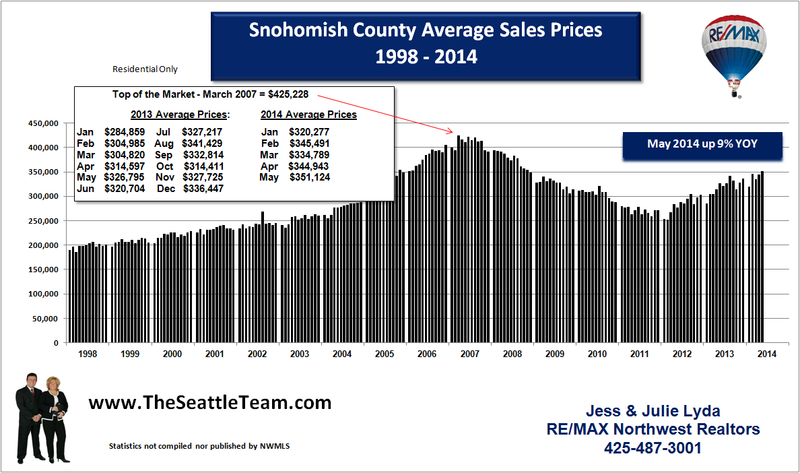 The average home price then was $376,716, today it is up to $535,438. 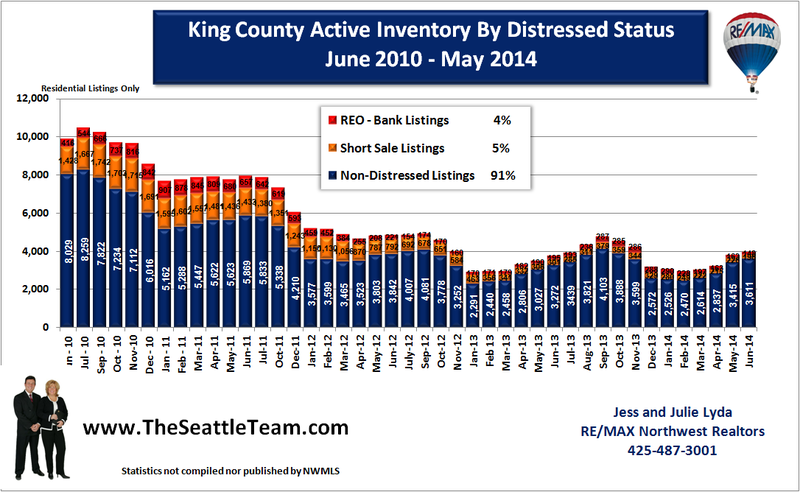 Average days on the market has also dropped nearly 50% from 84 days to 44 days. At this point making any predictions for the housing market is setting yourself up. 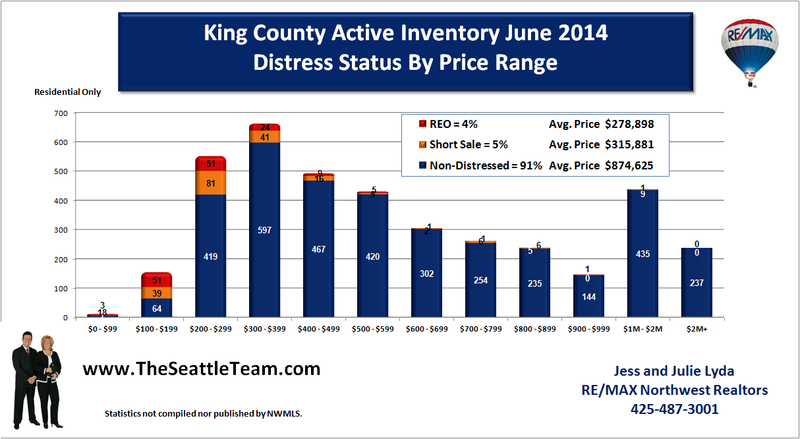 But we can say what we need to see happen... more inventory! 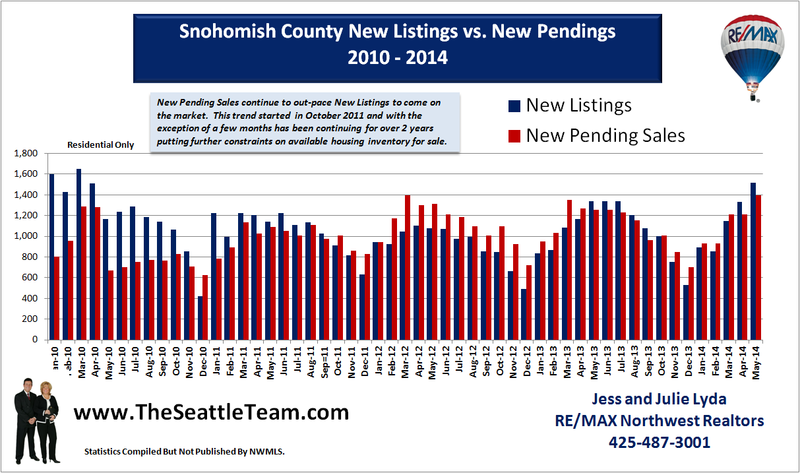 We did see a net rise of 283 listings for April, lets hope the trend continues! 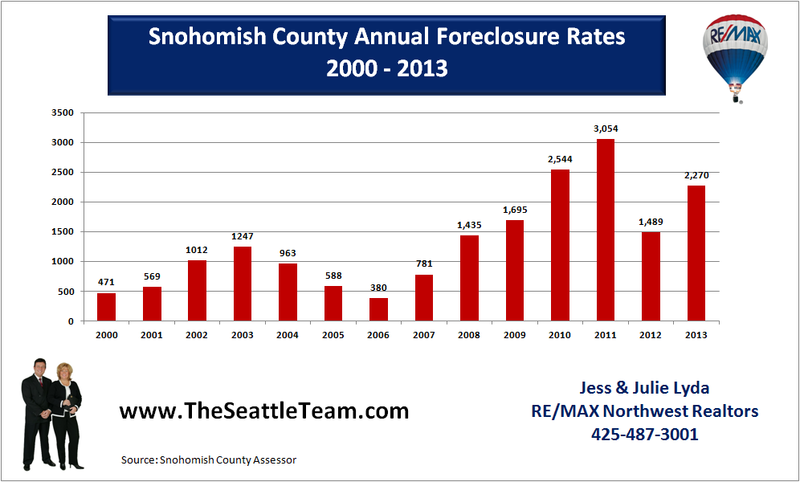 Analysis of the real estate is helpful for the investors and those who are thinking of getting home. Get the homes for sale in howard beach queens from Home-Mega which is the leading platform to get home for sale.